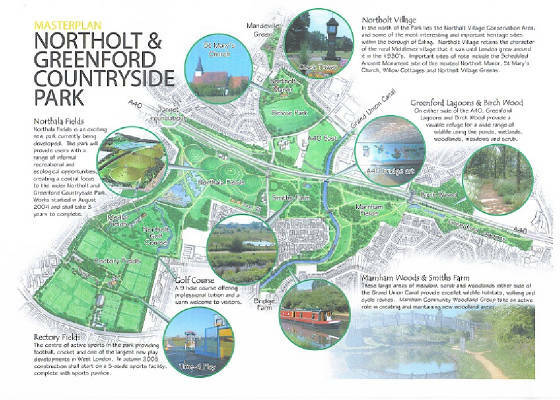 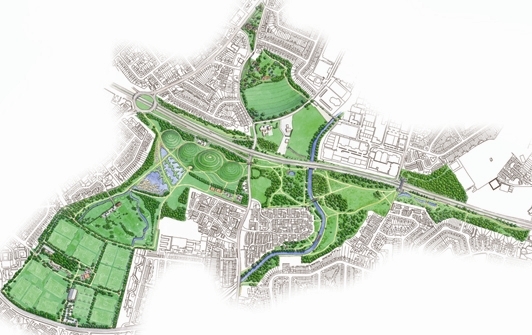 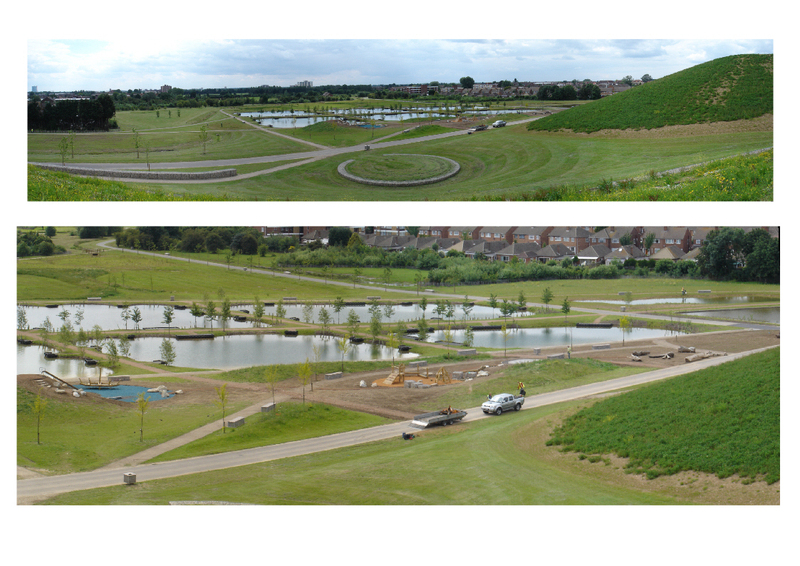 The Northolt and Greenford Countryside Park is the biggest park to be built in London in the last 100 years. 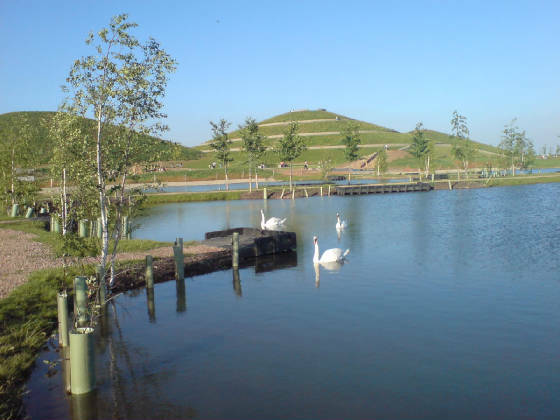 The society was established in 1995 and are people from the local community in Northolt and Greenford, who have worked with Ealing council to produce a self funding project which will officially opened on 25th May 2008. 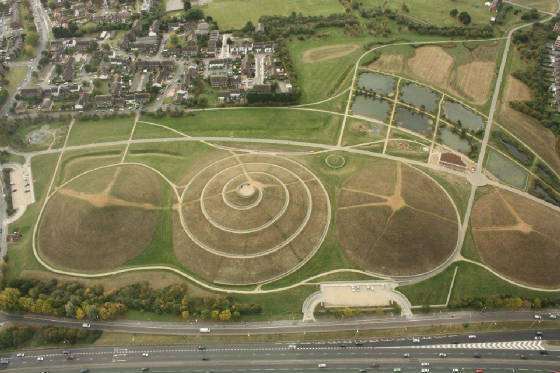 The old Kensington and Chelsea land was bought by Ealing council in 1996, to join Smiths Farm to Rectory Park to make a well needed open space for many housing estates that boarder the area. 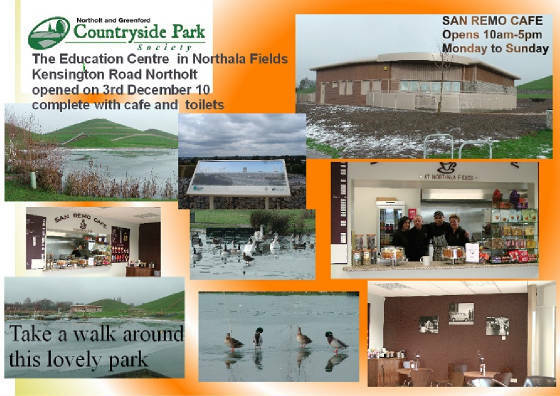 Recreation and open space is needed and the park provides fishing lakes, play Areas, boating Lake, amphitheater, kick about areas for all ages, 5 a side football, skate parks, basketball, woodlands, lakes for wildlife, countryside areas, picnic areas, cafe in Northala, Golf course, historical heritage areas, everything has been thought out to make this park the best it can be for the whole community.....Enjoy!